Happy to to share with all my blog readers that we have authored a book named “Active Directory with PowerShell“ published by Packt Publishers. The book starts with an overview of the components, software, and modules required to manage Active Directory with PowerShell. It then moves on to help you create and manage users, computer accounts, and group policies with simple examples to automate daily tasks. Furthermore, it covers topics such as GPOs, DNS Server/Client, DFS-N, and DFS-R automation. It also demonstrates how to automate some advanced operations so that they can be scripted to perform in a faster and more efficient way. By the end of this book, you will be competent enough to use PowerShell to manage your Active Directory environment and will gain all the required knowledge to automate your daily operations. How to get this book? It’s been quite long time that I wrote any articles in my blog. So, this time I would like to write few articles on PowerShell. PowerShell, most of us have been hearing this word from quite few years. What it means to us as System Administrators? Even I was going through several blogs about the power of this Microsoft Shell. Before PowerShell was released along with Windows Server 2003 SP2/Windows Server 2008, somewhere the windows system administrators used to have a doubt/fear that they may lose their job/work as most of Microsoft Applications/Technologies were GUI (Graphical User Interface) based. All installations, server management were done by respective management consoles. PowerShell made our jobs more secure and improved automation of quite few simple daily tasks. Using PowerShell daily/routine administrative tasks can be performed by using cmdlets (Command-Lets) by writing a simple script. Several cmdlets can be grouped together in scripts, executable files (exe files) or by instantiating regular .NET classes or WMI/COM Objects. The script works by accessing data from different places like filesystem or registry of a system. Those who are working on Windows Server 2003 with SP2 version can install PowerShell from this LINK. Pre-requisite for PowerShell is the server is to be installed with .Net Framework from Add/remove components. 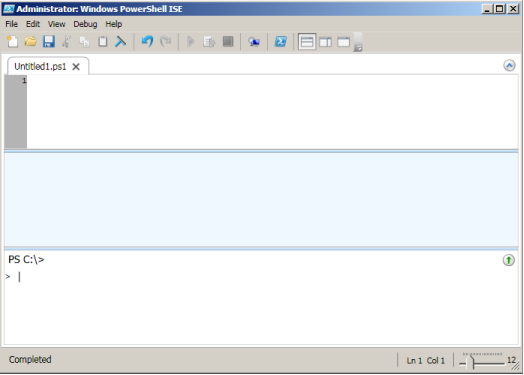 In my next article I would explain how PowerShell can be used for administrative tasks, common cmdlets, modules etc.